How Can Cities Avoid Carbon Lock-in? Cities have proven themselves to be necessary in combating climate change; however, the current trajectory for urban growth is still an unsustainable path and carbon emissions are already expected to surpass thresholds considered acceptable. One of the largest problems is carbon “lock-in,” which—as the Stockholm Environment Institute’s (SEI) new report makes clear—is dangerously approaching the 1000-gigaton (Gt) limit. Lock-in refers to the expected use of carbon-intensive, long-term holdings, such as infrastructure. According to some, the world has already locked-in approximately 800 Gt of emissions. Importantly, much of this lock-in comes from cities, where the projected increases in carbon-emitting assets aligns with estimated urban growth. Knowledge of how this all works must guide urban planning in the coming years if we are to avoid the worst impacts of climate change and support healthy, livable cities. We believe that high-carbon growth is composed of three different lock-ins: congestion, sprawl and inefficient use of resources. To prevent us from getting stuck in these three unhealthy patterns, decision makers should focus on urban mobility. More specifically, cities should develop mobility plans that prioritize the Avoid-Shift-Improve framework, transit-oriented development (TOD) and energy efficiency. With much of urban development still to be built, orienting cities away from car-focused layouts will be necessary to avoid lock-in of high emissions rates. Demonstrating that cities can develop sustainably, some cities are implementing policies that expand their urban area while combating emissions and improving quality of life. The Master Plan in Delhi, for example, is heavily focused on TOD, creating “TOD Influence Zones” along high-traffic corridors. The goals of the TOD zones are to: improve market participation, enhance quality of life and access to services, reduce environmental harm, and reduce public spending on energy-intensive infrastructure, including sprawl-induced road expansions. With a guiding vision for urban form—one that discourages sprawl and encourages corridors of TOD—the city is avoiding lock-in and becoming more livable. Beyond mobility efforts, cities should also optimize energy use by assessing how their energy is created and consumed. India’s Energy Conservation Act and National Action Plan on Climate Change led the way for collaboration with WRI to find financial pathways to increase the market participation of energy savings companies (ESCOs). In the study, WRI found that with an investment of $10 billion dollars, India can realize 183.5 billion kilowatt hours of savings annually, saving them money and significantly reducing emissions. Secondly, cities are finding success in cracking down on congestion to combat emissions and improve efficiency. However, just as energy efficiency measures hinge on crafting context specific solutions, answers to congestion also depend on geography. Consider, for example, Bangalore. 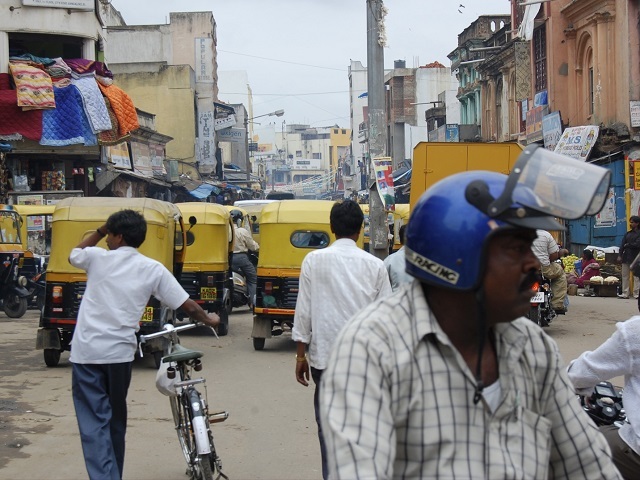 A highly polluted area, Bangalore has suffered economically from the high costs of congestion and is working expand citizens’ access to mass transit options. 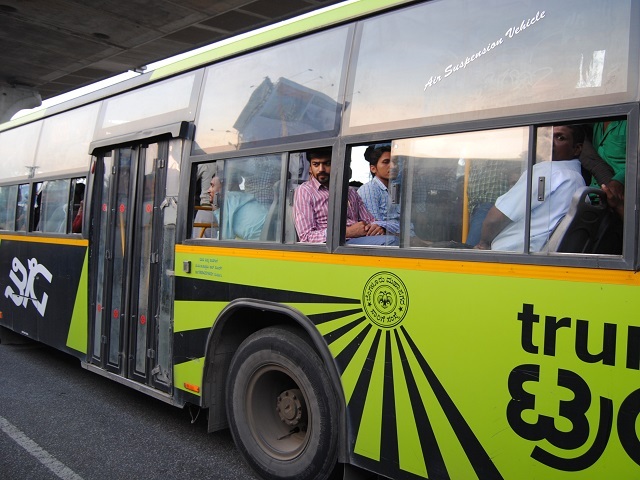 These aspirations were realized in the Bangalore BIG Bus, which reformed bus transit for passengers and was supported by WRI Ross Center for Sustainable Cities. By expanding and upgrading service for 150,000 passengers, BIG Bus has shown that cities can promote lower-carbon transport networks that work to reduce carbon lock-in, and also serve the needs of a large urban population. In this case, policy makers were able to reform their current infrastructure through innovative solutions, improving access and equity for local commuters. Shifting to high-performance cities that avoid carbon lock-in isn’t a straight pathway—we will make many mistakes. But through a combination of trial and error and reinforced partnerships with civil society and national governments, cities can boost capacity and place us on the right path. Cities must first recognize their emissions lock-in and adjust their decision making accordingly. Doing so will ensure the health of a city, the integrity of the climate, and work towards public participation in the increasingly climate-influenced global economy. Cities should prioritize addressing lock-in in congestion, sprawl, and inefficiencies, and emphasize partnerships in order to secure their citizens wellbeing in the emerging climate economy.